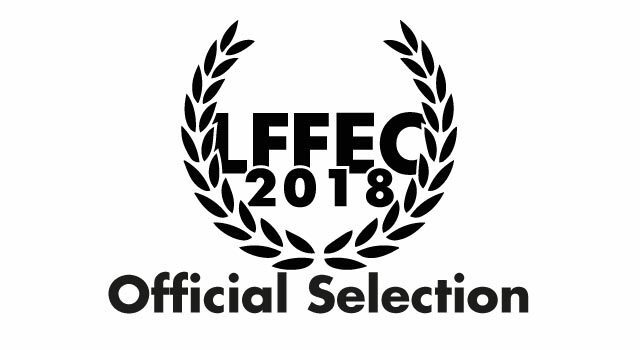 Fourteen feature films, all in Italian premiere, have been selected to participate in the 2018 International Feature Film Contest of the Lucca Film Festival e Europa Cinema Festival taking place from the 8th to the 15th of April in the Tuscan cities of Lucca and Viareggio. The films will compete for the “Best Film” Award (with a value of 3000 Euro to the Director), which will be awarded by a Jury composed of Daniele Gaglianone, Irene Dionisio and Paola Randi. The films will also participate in the “Best Feature Film University Jury” awarded by a jury of university students and an “Honorable Mention”, which will be decreed by a popular jury. The film selection highlights a vast range of genres and the breadth of content in addition to a heterogeneous geographical and social context. All films come from major international film festivals such as Berlin, Locarno, Toronto and Rotterdam; and the competition features well-known filmmakers who are the rising stars of independent and experimental film. 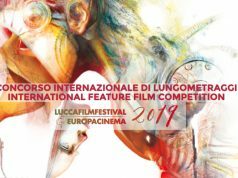 The films that have been selected to compete in the Lucca Film Festival e Europa Cinema International Feature Film Contest are: Southern Belle by Nicolas Peduzzi (France, 2017), The Marriage by Blerta Zeqiri (Kosovo, 2017), Cocote by Nelson Carlo de Los Santos Arias (Dominican Republic, Argentina, Germany and Qatar, 2017), All you can eat Buddha by Ian Lagarde (Canada, 2017), Gutland by Govinda Van Maele (Germany, 2017), Funny Story by Michael Gallagher (USA, 2018), The girl’s spring by Gu Wei (China, 2018), Birds without feathers by Wendy McColm (USA, 2018), Cannibal Club by Guto Parente (Brazil,2018), Peter’s Odyssey by Alexey Kuzmin-Tarasov and by Anna Kolchina (Russia, 2018), Fotbal Infinit by Corneliu Porumboiu (Romania, 2018), River’s edge by Isao Yukisada (Japan, 2018), Driver by Yehonatan Indursky (Israel, France, 2017) and The Queen of Fear by Valeria Bertuccelli, Fabiana Tiscornia. The official selection of films in competition was curated by Federico Salvetti, Stefano Giorgi and Nicolas Condemi, members of the Artistic Committee of the Lucca Film Festival. 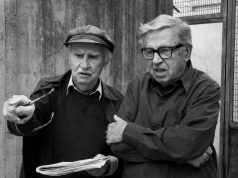 Enrollment is still open to participate in the University Jury and in the Popular Jury, the latter made possible thanks to the collaboration with the Circolo del Cinema di Lucca and Cineforum Ezechiele 25.17. The deadline to become a jury member is 31 March 2018. To enroll, please email segreteria@luccafilmfestival.it. Cherished daughter of a billionaire oil-tycoon, Taelor, age 26, grew up in one of those guilded ghettos of Houston, Texas. At 15, her father’s sudden and mysterious death tolls the bell of an idyllic childhood, entailing a fall into a reckless life filled with drug-abuse and firearms. Her portrait serves as an insight into modern-day decadent America lead by Donald Trump, new hero of a young and yet so lost generation. Only two weeks before the wedding, and Anita and Bekim are completing their preparations. Despite waiting for news about Anita’s parents, reported missing during the Kosovo War, and the intrusive Bekim family, the boys seem to be able to extricate themselves through the preparations. The situation is complicated by the return of Nol, an ancient secret lover of Bekim. In fact, the love between the two boys is not finished at all. Alberto, a gardener of gospel faith, returns to his native country to attend his father’s funeral, murdered by an influential man. The funeral rites him to participate in religious practices that go against his will and his principles. In this phantasmagoric black comedy, a man’s mysterious appe- tite and supernatural powers gradually lead to apocalypse in an all-inclusive resort in the Caribbean. Early one summer morning a young man, with a secret stashed away in a duffel bag, emerges from the forest. In a nearby village, he asks around for work, but the farmers, suspicious to the point of hostility, are not very forthcoming. Only when Lucy, the mayor’s unruly daughter, takes a liking to him, does the village change its attitude: he is promptly offered a job as a farmhand and a caravan to live in. As time passes and he is gradually integrated into the community, it emerges that he’s not the only one with a past to hide. Something sinister is lurking under the immaculate surface of this picturesque little world – and it is slowly drawing him in. Eight years ago, poor farmer Zhang Qiang saved businessman Cheng Gang. Eight years later, Cheng Gang invested in the polluted paper mill and mine. Two years later, Zhang Qiang’s two daughters got leukemia and died. Zhang Qiang completely collapse. He began to awaken. Cheng Gang just to suppress Cheng Gang’s strength of nothing to fight back. Zhang Qiang despaired and put a fire to burn Cheng Gan. Six individuals in difficulty cannot connect with other people until they decide to abandon everything just to receive a little love in change. What’s for dinner, darling? Otavio and Gilda are a very wealthy couple of the Brazilian elite who have the habit of eating their employees. Otavio owns a private security company and is a notable member of The Cannibal Club. When Gilda accidentally discovers a secret from Borges, a powerful congressman and the Club’s leader, her and her husband’s lives are in danger. Petya, a 12-year-old boy, spends his summers in a suburban Moscow dacha with his grandmother. His blissful summer of 1996 comes to an abrupt end when his parents decide to immigrate to Germany. Unwilling to adapt to the new reality Petya embarks on a fantasy journey back home. They talk about the beautiful game, but for Laurentiu Ginghina, it’s not enough. Football must be modified, streamlined, freed from restraints; corners are to be rounded off, players assigned to zones and subteams, norms revised. In retrospect, he first realized that the rules of football were wrong when he was tackled during a game in his youth, in the summer holidays, on another pitch now covered in snow, but in Vaslui, not Bucharest. The tackle hit so hard it fractured his fibula, a year later his tibia broke too, on New Year’s Eve 1987, he had to walk home in the snow and no one helped him. Today he’s a local bureaucrat with an uninspiring job, it’s no wonder he prefers to talk about the game, his own version of it, to Porumboiu, his friend, the director, who’s always listening, asking questions, nearly always in frame. Ginghina’s monologues are so rich you might think someone wrote them in advance, they proceed from the same old subject, but never stay in one place. All roads lead to football, but all roads lead away from it too, to land ownership issues, to orange farms in Florida, to political utopia and the traces left by life, to version 2.0, 3.1, 4.7, to infinity. Tokyo, 1994. In a video interview, a young woman discusses the significance of a teddy bear. Shortly afterwards, a burning object falls from a high-rise building at night. A young man, naked and bound, falls out of a locker. Two fisherman talk about a water spirit. Ruzumny lives on the edge of the ultra-Orthodox community of Bnei Brak, Israel. During the night he brings the needy to the richer members of the community in order to collect as much money as possible and retain a percentage. Ruzumny is not only a driver, but also teaches his clients how to tell stories that will make those who listen to them particularly generous. When his wife abandons him, he will suddenly have to deal with the responsibility of raising his daughter, and with the only story he has never been able to tell himself. Robertina is a famous theatrical actress who is preparing her next show. Very busy with theater rehearsals, she tries to distract herself from her husband’s inexplicable absence, but her inner anguish risks overcoming her. When he discovers that a dear friend of his past is dying, he does not hesitate to give up everything to see him one last time. Their meeting forces Robertina to re-examine her priorities. Next articleLucca Film Festival and Europa Cinema, The complete program.